Perfect for everyone 3+ . Not a Dream Lite. 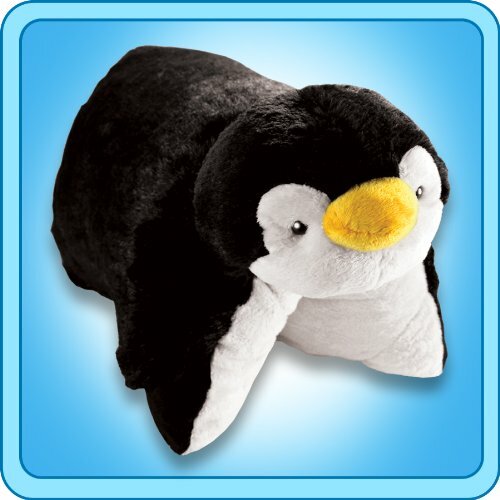 The Pillow Pets Playful Penguin Plush 18”/Large delivers all the fun play of a Pillow Pet, and then turns into a comfortable 18-inch sized pillow for reading, watching television, or nap time! 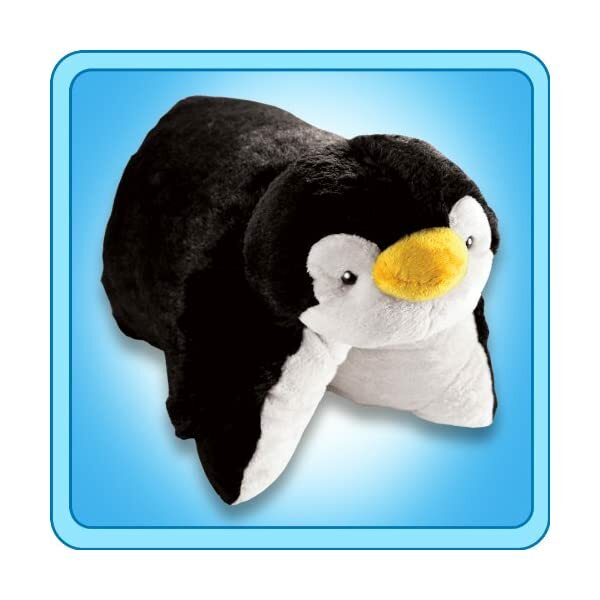 Adorable black and white chenille plush outfit this super-soft penguin toy; so cuddly you’ll never want to put it down! Bring a touch of room decor along with the practicality of everyday use as both, a toy for imaginative play and a pillow for some relaxing, snuggling, or sleep time. An ideal naptime companion – not to mention a comforting partner on road trips or airplane rides – Pillow Pets are anything but just another toddler pillow; starts out as your plush toy, then unfasten its belly, and it magically becomes an 18-inch comfortable pillow! A bedtime solution that will have your kids running to their room with their new pet for a good night’s rest on their new favorite pillow. Made of high-quality washable chenille. BPA free and phthalates free. Official Pillow Pets product. Overall dimensions 18 x 18 x 10. As with all decorative pillows, all Pillow Pets products are recommended for children 3 years and up. ANIMAL FANS: If you think that your favorite animal is adorable, then imagine just how cute it’d be as a plush! Bring your favorite animal home in the form of a Pillow Pet and go on a wild adventure, or take a comfy nap with it. DETAILS: This original plush is made of high-quality washable chenille and is BPA-free and Phthalates-free. For kids ages 3 years old and up. To wash, place in white pillow case and tie off open end. Machine wash cold, gentle cycle. 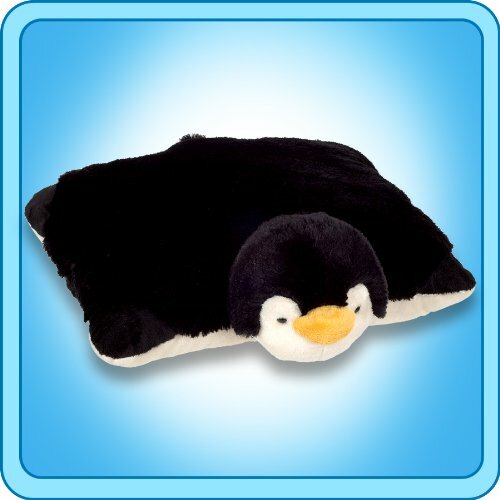 Be the first to review “Pillow Pets Playful Penguin Stuffed Plush Toy for Sleep, Play, Travel, and Comfort – Great for Boys and Girls of All Ages – Soft and Washable” Click here to cancel reply.